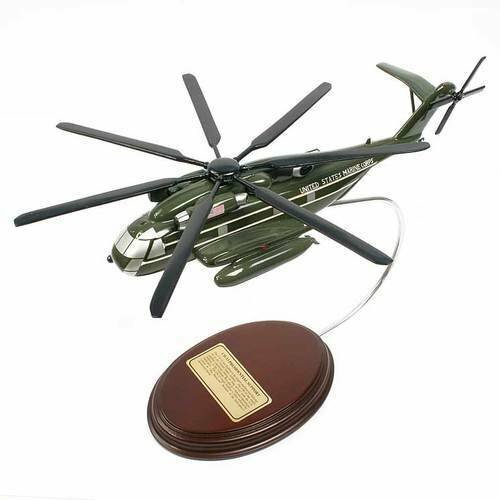 The Sikorsky CH-53 helicopter is a heavy-lift helicopter used mainly by the US Marine Corps. Designed for the internal and external transport of supplies, this heavy-lift helicopter is shipboard-compatible and able to operate both day and night even during unfavorable weather conditions. The CH-53 helicopter is the go-to aircraft for hauling heavy equipment, troop concentrations, and evacuating wounded personnel. It features a rotary-wing system but utilized a conventional helicopter layout with a longer fuselage. Under this fuselage body is a centralized support system that allows the aircraft to lift larger and heavier loads. The Sikorsky CH-53 helicopter superseded the CH-37C Mojave models and first flew in October 14, 1964. The VH-53D, a VIP transport version, was used by the Marines as a presidential transport helicopter.